The work on the 10,000 sq ft project began in March 2016. 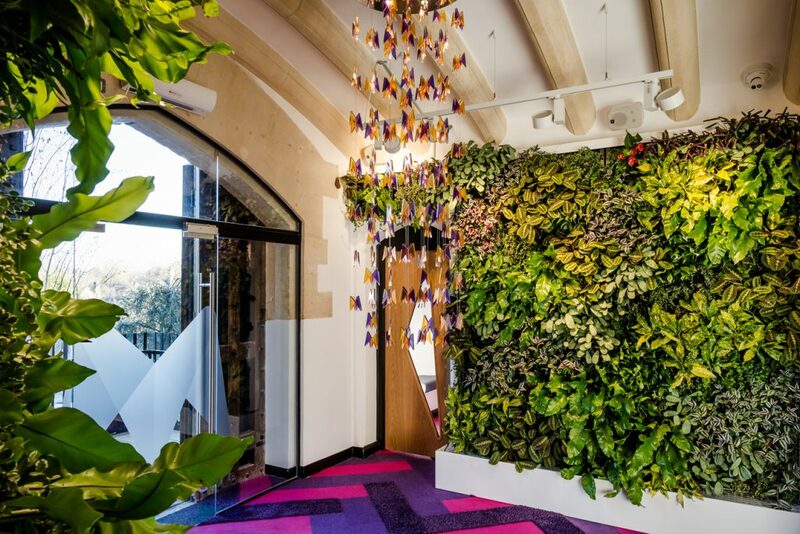 There were 38 rooms to design in The Castle and for 6 of these, Interaction collaborated with designer Laurence Llewelyn-Bowen, who provided initial concept sketches and a choice of finishes. An important part of creating the ultimate office meant focusing on the functionality of the workplace, designing a space that would allow the team to work effectively. Interaction explored the needs of the individuals and created a multitude of flexible work settings to enable people to work the way they want. 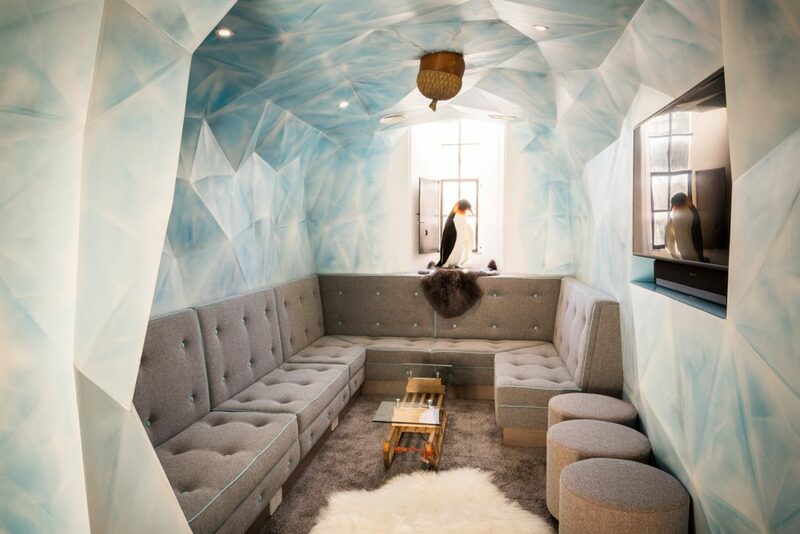 This included creating spaces such as the ice cave, ski lodge, and ‘hightech’ room which can all be used to have informal meetings, socialise, or simply relax. 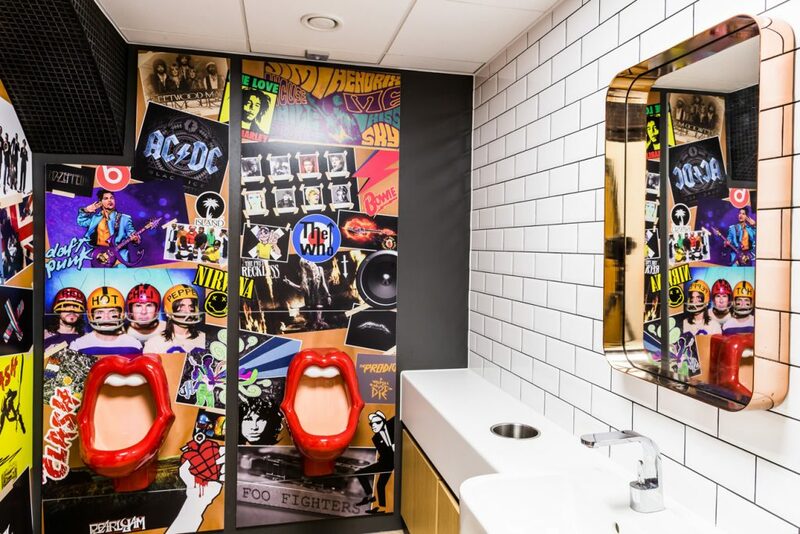 This project is a perfect example of how by placing employee wellbeing at the centre of the brief and design you can use your workplace as a tool to incite a positive culture and enhance productivity, creativity and collaboration. The Castle is finally fit for the kings and queens of the tech world. Ranked as the UK’s 2nd fastest growing business in 2015 by The Sunday Times, financial comparison website money.co.uk needed their workplace to support this recent exponential growth. The Grade II listed Victorian ‘castle’ that money.co.uk occupied, having had no major alterations in years, did not illustrate their current standing and vision for the future. 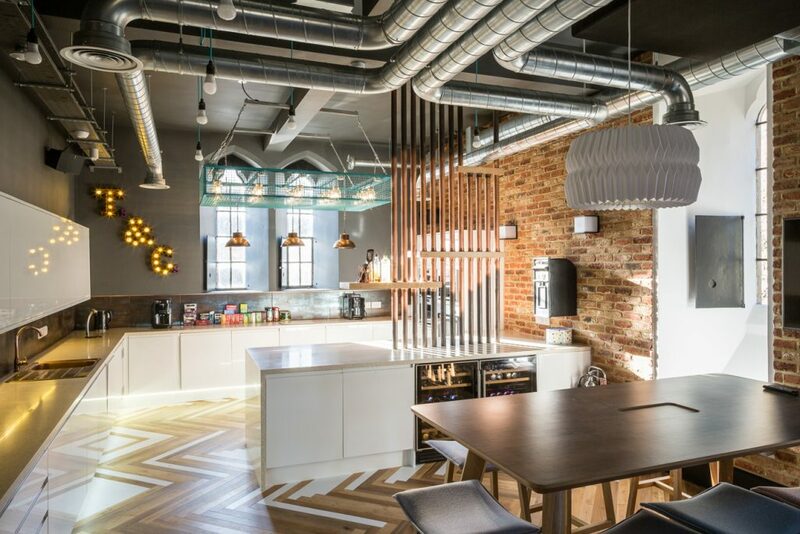 The team therefore needed a workplace that reflected their success, but also one that continued to attract and retain talent in their competitive industry. 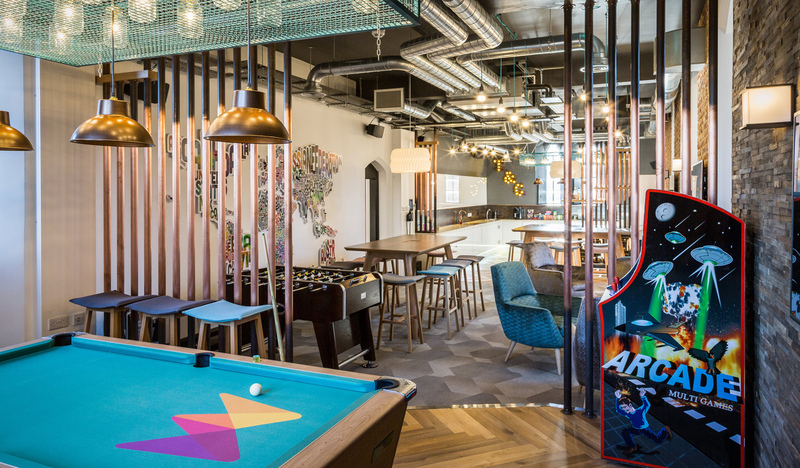 Representing their success through their workplace was important, but at the heart of the decision for the refurbishment was rewarding staff with the best place to work. 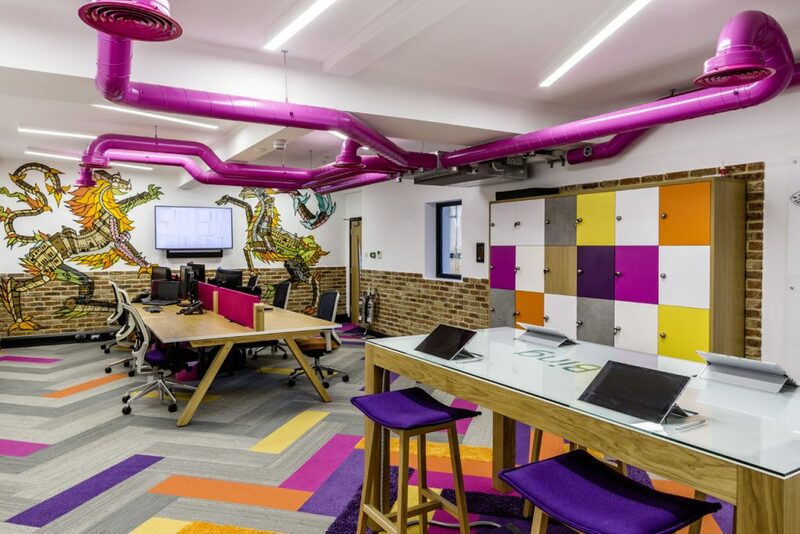 Money.co.uk’s people, in combination with Grade II listed building itself, lay at the heart of the project’s design. 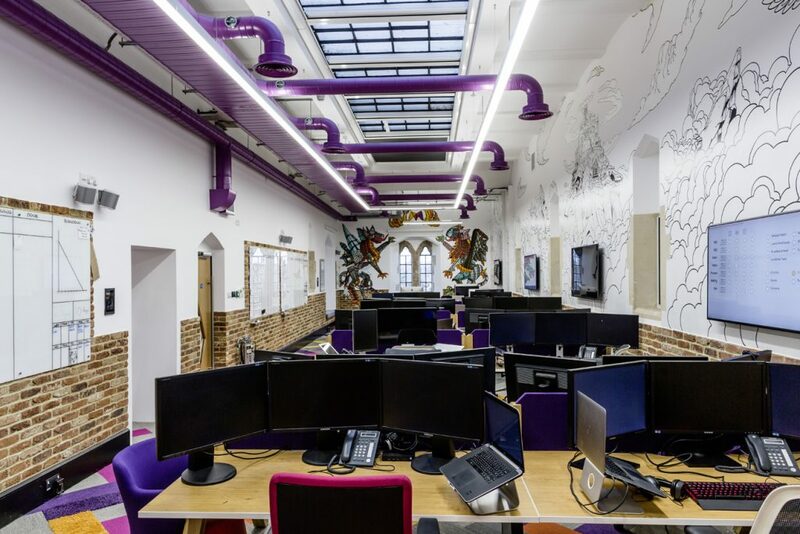 Not only did we want to create an environment where the team could flourish, fulfil their potential and feel happy, but we wanted to juxtapose the traditional architecture of The Castle with a contemporary finish. 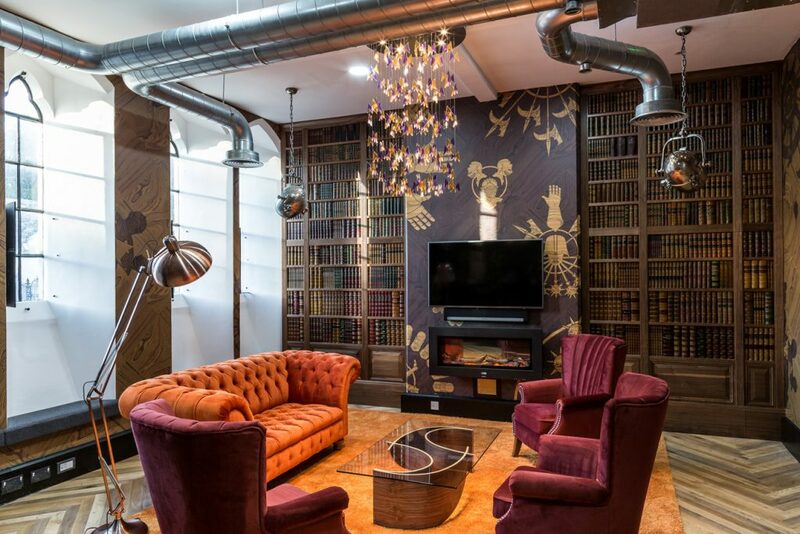 The unique building provides a characterful and quirky setting for an office, and the interior needed to reflect the eccentricity of the exterior. We had to be conscious and considerate to nurture the listed building. We were excited to work with (and accentuate) several original features of the building. This included the windows, archways and some original doors – all of which have become real statement features that hark back to the rich history of The Castle. The building continuously revealed new and hidden secrets that kept us on our feet and provided us with unique design challenges. The damp was severe – by the time we were finished we had practically re-built The Castle. Other than successfully bringing past and present together by breathing new life into the space, the moment we held up the “snag free” board was incredible for everyone involved. As a company, we always aim to deliver our fit-out works with absolutely no snags (or defects). 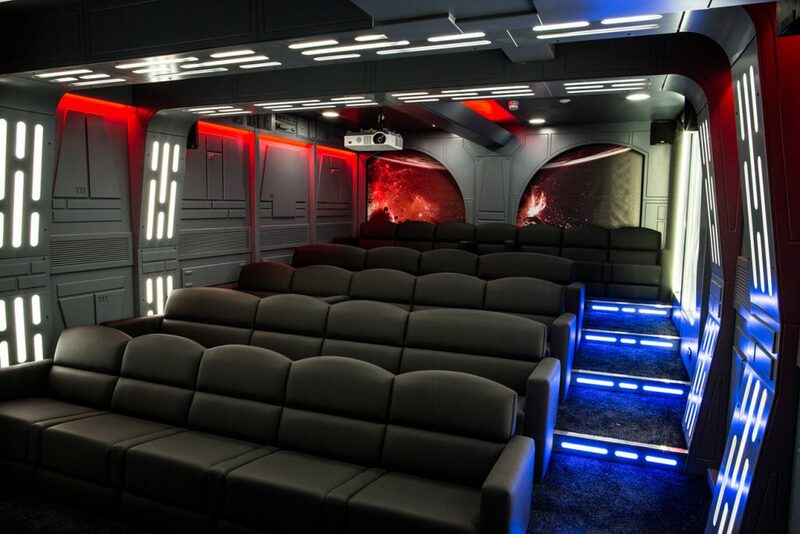 To achieve this on such a complex refurbishment project was a great feeling! We knew that the SBID is highly regarded internationally and that the awards promote design excellence. 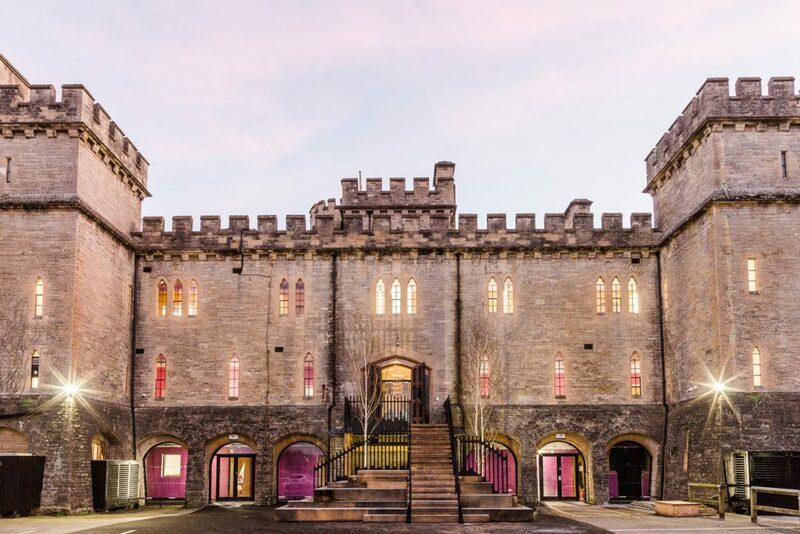 We entered because we thought The Castle raised the bar in terms of office design – it has been featured in numerous news articles worldwide and has become known as one of the “world’s coolest offices”. As well as wanting to give the project team the recognition for all of the hard work that went into the 9-month project, we were also keen to prove that workplaces can be tools for change. Rather than hindering a business, they can inspire people, promote collaboration, and increase overall productivity and output – just as The Castle has done for money.co.uk. If you missed last week’s Project of the Week featuring a spectacular residence set across two buildings and garden apartment in London, click here to see more.